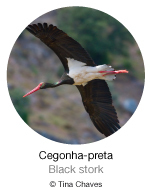 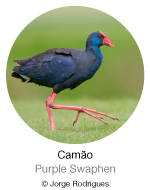 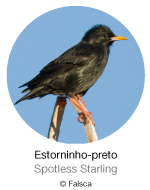 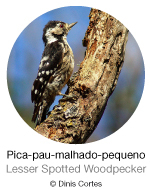 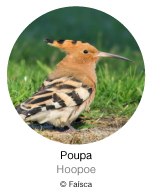 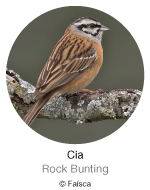 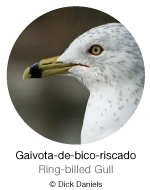 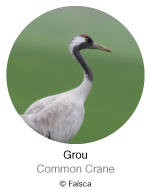 In this section we opted not to elaborate a systematic list of the birds of Portugal, but rather a set of target-species that may spike the interest of most birdwatchers, both foreign and national. 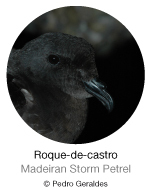 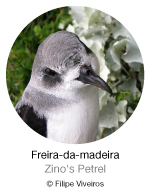 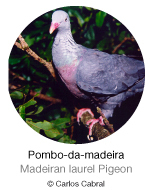 For mainland Portugal, 108 species were selected, as well as 23 for the Azores islands, and 19 for Madeira archipelago, selected primarily for being mainly or exclusively Southern European or Macaronesian species. 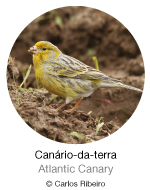 Other criteria taken under account for the target-species selection were restricted distribution worldwide, or at an European or national levels, high status of conservation, regularity of presence in Portuguese territory, and how easily species can detected in the areas and times of year indicated. 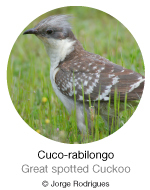 Most of the rare species for the country were not included. 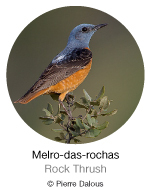 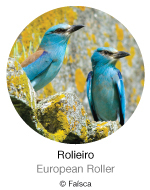 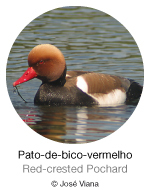 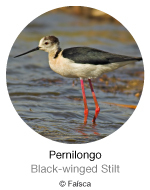 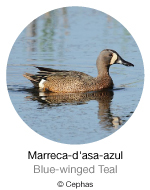 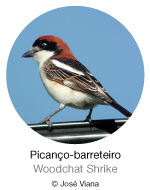 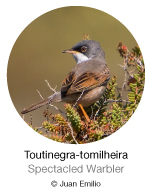 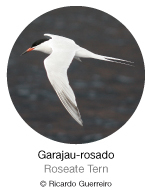 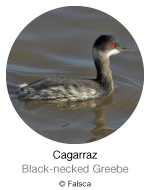 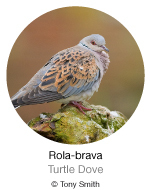 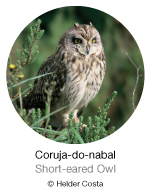 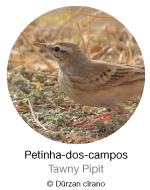 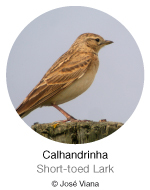 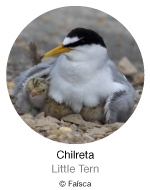 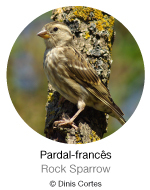 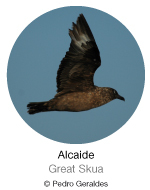 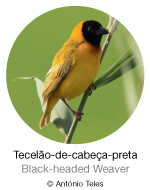 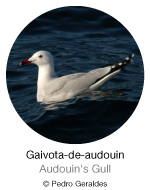 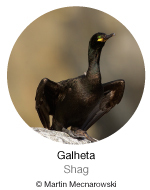 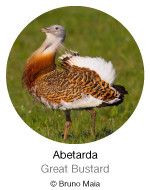 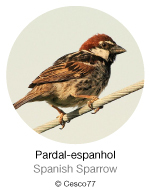 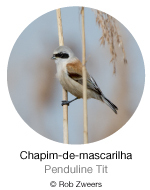 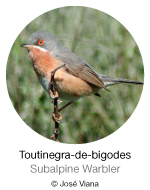 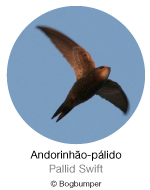 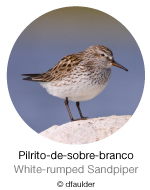 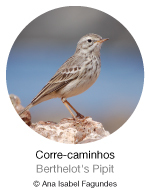 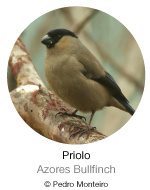 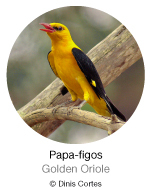 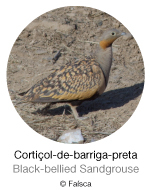 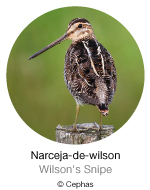 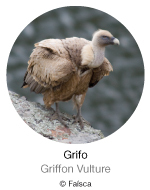 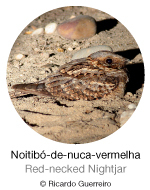 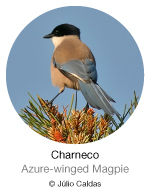 For more information on rare birds in mainland Portugal visit the Rarities page, or the rare birds online database, and keep in mind that all records of rare bird species should be submitted to the Portuguese Rarities Committee. 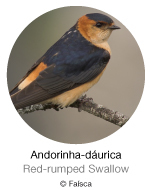 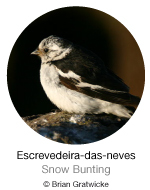 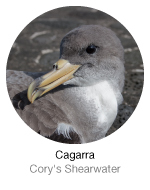 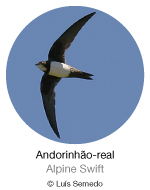 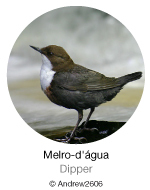 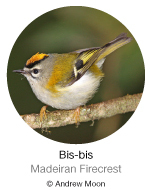 SPEA would like to express its gratitude to the websites Aves de Portugal, Aves dos Açores e Atlas das Aves do Arquipélago da Madeira, for its availability for sharing information.